Based on breaking news and events, it appears that the CIA in Switzerland is getting ready to execute a wave of cyber and/or real world terror attacks on one or more American and/or European nuclear reactors, most likely using hijacked commercial airplanes or drones. In the event that nuclear reactors are hacked, the state-sponsored terror group Anonymous, China, Iran or North Korea will be scapegoated. In the event that nuclear reactors suffer 9/11-style attacks, Al Qaeda, Iran, ISIS or Saudi Arabia will most likely be scapegoated. In what appears to be pre-nuclear reactor terror programming, it was reported back on April 16, 2015, that hackers have “begun targeting nuclear power plants”. According a senior Israeli cyber security expert, hackers have begun targeting electric and nuclear power plants around the world. Roughly 3-months later on July 9, 2015, it was reported that a flaw was found in a French nuclear reactor in the UK. The time report was designed show that European nuclear reactors are defective just prior to an Islamic terror attack on nuclear reactors. 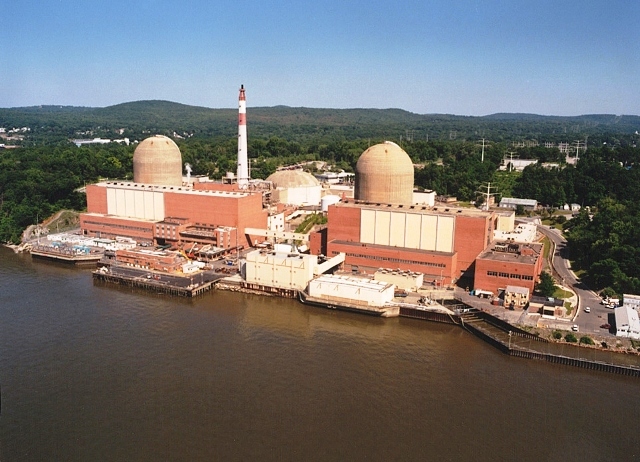 That same day, July 9, 2015, it was reported that evacuation plans have been limited for towns around local nuclear power plants on the East Coast. According to reports, here are 8 different nuclear power plants within 50 miles of communities within the Northeast where more than 20 million people call home. 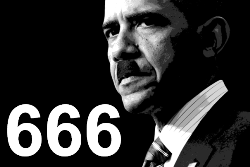 The timely report was evidently designed to highlight the 8 nuclear reactors just prior to a state-sponsored attack on one or more of the nuclear reactors which will predictably results in a massive evacuation, martial law and the dictatorship of one Barack Hussein Obama. Roughly 2-weeks later on July 22, 2015, traitorous Infowars published a report entitled “Mutant Daisies Photographed Near Fukushima Site Go Viral”, highlighting the last nuclear reactor disaster just prior to a redux attack within the United States. Also on July 22, 2015, it was reported that Greenpeace has raised concerns over the safety of nuclear plants in Switzerland. Although an attack on a Swiss nuclear plant is unlikely, the Swiss CIA has been exposed and is therefore beyond dangerous. 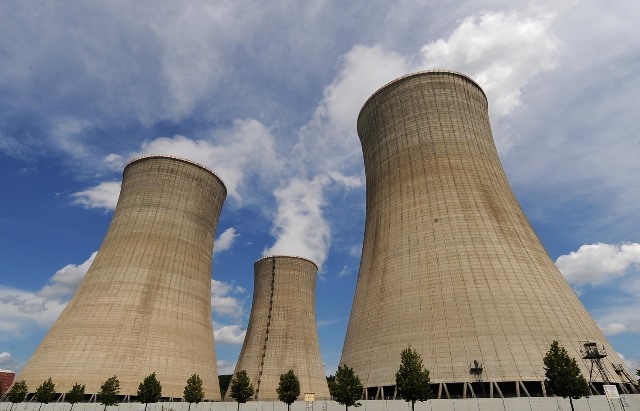 In order to highlight nuclear reactors on a global level just prior to a state-sponsored attack, Bloomberg News published a report on August 4, 2015, entitled “New Nuclear Power Seen as Big Winner in Obama’s Clean Power Plan”. Needless to say, Obama’s clean power plan is designed to backfire. That same day, August 4, 2015, it was reported that new emails show coordination between the EPA and environmental groups on nuclear power plant rules. The emails were released in order to further highlight nuclear power plants just prior to an unprecedented terror attack. In order to rehash nuclear reactor terror just prior to another state-sponsored nuclear reactor terror attack, Fox News published a report back on September 5, 2015, entitled “Japan Lifts Evacuation Order for Town Near Nuclear Reactor Disaster Site”. In order to highlight the Fukushima disaster on an international level just prior to a redux attack, Yahoo New published a report 9-days later on September 14, 2015, entitled “Fukushima Dumps First Batch of Once-Radioactive Water in Sea”. In what appears to be pre-nuclear reactor terror attack programming, the Financial Times of London published a report on October 5, 2015, entitled “Nuclear Power Plants in ‘Culture of Denial’ Over Hacking Risk”. Two days later on October 7, 2015, USA Today published a report entitled “Chernobyl Exclusion Zone Becomes Wildlife Haven”, highlighting a past nuclear reactor disaster just prior to the fruition of another. Lastly, two days later on October 9, 2015, CNN published a report entitled “You Can’t Go Home Again: Rebuilding Lives After Fukushima”, once again highlighting a past nuclear reactor disaster just prior to the fruition of another. In the event of an unprecedented nuclear reactor terror attack, so-called global cooling will predictably follow. This notion was foreshadowed back on March 26, 2014, when LiveScience published a report which found that even a small nuclear war could trigger “catastrophic cooling”. In other words, a majority of the U.S. and/or Europe would be covered in a “radioactive” haze courtesy of government drones spraying 100-times the amount of chemtrails. Consequently, the sun would be blocked out and tourism in that particular region would come to a screeching halt. Needless to say, the “catastrophic cooling” terror scenario would be far worse Three Mile Nuclear Disaster (1979), the Chernobyl Disaster (1986), and the Fukushima Disaster (2011) combined as all animal and plant life would die from lack of sun, further selling the notion of fallout from the attack. The notion that terrorists want to attack nuclear reactors was recently witnessed back on July 9, 2014, when Hamas attempted to attack the Israeli nuclear reactor in Dimona. Two days later on July 11, 2014, a report entitled “Response to ‘Attack’ on Nuclear Reactor Is Praised” was published in response to U.S. government terror drills on nuclear reactors. According to the timely report, “Other mock attacks have been conducted at a handful of the nation’s 62 nuclear power plants”. Evidently, the U.S. federal government is perfecting their respective nuclear terror attack scenarios. Exactly when and where the attacks will take place is not known, but practice makes perfect. Back on August 20, 2014, it was revealed that hackers attacked Nuclear Regulatory Commission 3 times in 3 years, a report designed to show that cyber-terrorists are actively targeting nuclear reactors. Four days later on August 24, 2014, an Israeli spy drone was shot downed near Iran’s Natanz nuclear plant, foreshadowing the notion of aerial attack on nuclear reactors. Roughly 7-months later on March 17, 2015, it was reported that South Korea is blaming North Korea for a nuclear reactor cyberattack, ultimately setting the precedent for a North Korean cyber-attack on nuclear reactors within the United States. That same day, March 17, 2015, it was also reported that a South African who previously attacked a nuclear power plant is now a hero to his government and fellow citizens. The timely report was evidently published in order to highlight nuclear reactor terror attacks just prior to another transpiring in reality. Lastly, a day later on March 18, 2015, the BBC published a report entitled “Chernobyl: Containing the World’s Worst Nuclear Accident”. The timely propaganda report was evidently published in order to acclimate the public for another nuclear reactor-related “accident”, possibly the worst in history. Back on March 29, 1998, a Simpsons episode entitled “Simpson Tide” (S09E19) featured a nuclear reactor power plant meltdown (see photo) which was caused by a problem with the reactor’s core. More recently, “Blackhat” (2015) is a film (see trailer) which will be released on January 16, 2014. The plot features a state-sponsored cyber-terror attack on U.S. nuclear reactors, causing a catastrophic nuclear meltdown. As with most Hollywood programming, it’s just a matter of time before it transpires in reality. 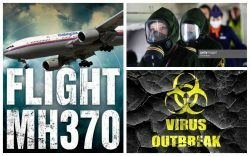 Back on April 9, 2015, Truther.org published a report entitled “Global Nuclear Reactor Terror Alert: Swiss CIA Plotting 9/11-Style Attacks Using Germanwings Planes”. Less than 72-hours later on April 12, 2015, a Germanwings plane was evacuated due to a bomb threat. In all likelihood, the Germanwings plane was evacuated in order to provide the necessary cover so that weapons and/or explosives could be removed from the plane by intelligence officials without causing any attention, hence the bomb threat hoax. A similar situation occurred in the aftermath of the 2012 Democratic National Convention Terror Plot which also featured a 9/11-style terror attack. In what appears to be pre-aerial nuclear reactor terror attack propaganda for France, it was reported back on January 28, 2015, that a UFO buzzed a French nuclear power plant. Roughly 2-weeks later on February 10, 2015, France reportedly tested kamikaze interceptor drones to protect its nuclear reactors. Later that month on February 23, 2015, it was revealed that 16 nuclear reactors in the UK are now vulnerable to terrorist drone attacks, further highlighting the notion that there will be nuclear reactor terror attacks in Europe. Back on April 3, 2015, it was revealed that Germany’s Emsland Nuclear Power Plant was shut down after an alleged leak. Whether said leak provided the necessary cover for the installation of explosives within the nuclear reactor is not known, but it’s highly likely. Said explosives could be utilized at a later date in a coordinated state-sponsored terror attack. In the event that Emsland Nuclear Power Plant is targeted with 9/11-style attacks, the planes will most likely be from Germanwings, the same airline which was previously attacked by the CIA on March 24, 2015, when Flight 4U9525 was sabotaged over the French Alps, killing all 150 people on board. In what appears to be one of the Germanwings planes slated for the impending 9/11-style nuclear reactor attack, it was reported on April 4, 2015, that Flight 4U814 was diverted to Stuttgart due to suspected oil loss. In what appears to be the second Germanwings plane slated for the impending 9/11-sytle nuclear reactor attack, it was also reported on April 4, 2015, that Flight U3882 was forced to execute an emergency landing while flying to Rome. Whether Germanwings Flights 4U814 and U3882 will be used in 9/11-style attacks on the Emsland Nuclear Power Plant in Emsland, Germany is not known, but it’s highly likely. The timely flight diversions likely provided the necessary cover for the installation of explosives within the planes. Said explosives could be detonated when the planes are used in kamikaze-like 9/11-style attacks. The alleged suicide attack by the co-pilot of Germanwings Flight 4U9525 has specifically programmed Europe, namely Germany, for a 9/11-style suicide attacks by hijacked commercial airplanes. The hijackings will predictably be blamed on Islamic terrorists affiliated with Al Qaeda or ISIS. Back on August 30, 2010, the state-sponsored group Greenpeace projected a sign onto the Emsland Nuclear Power Plant (see photo) which read “Nuclear Power is the wrong path, Mrs. Merkel!” The message for German Chancellor Angela Merkel was in respect to the danger of nuclear power plants in Germany. In order to foreshadow the notion that Germanwings is a doomed airline just prior to an unprecedented 9/11-style nuclear reactor terror attack in Germany, CNN published a report on April 7, 2015, entitled “Germanwings Co-Pilot — An Accident Waiting to Happen”. Lastly, in order to rehash the Germanwings Flight U3882 crash, as well as foreshadow further Germanwings terror, the Daily Mail published a report on April 8, 2015, entitled “Was Germanwings Plane Crashed by a Hacker Instead of Co-Pilot?”, confirming, albeit in a de factor manner, that the Flight 4U9525 was actually attacked. In what appears to be the latest nuclear reactor terror target, it was reported back on May 9, 2015, that a transformer fire shut down Indian Point Nuclear Power Plant outside New York City. According to reports, the fire sent smoke billowing into the air and an oil leak on the property. Whether the timely fire provided the necessary cover for the installation of explosives within the Indian Point Nuclear Power Plant is not known, but it’s highly likely. Said explosives could be detonated in the immediate aftermath of a state-sponsored 9/11-style aerial attack on the nuclear reactor. In what may be the aircraft slated for the 9/11-style attack on the Indian Point Nuclear Power Plant, it was reported on May 8, 2015, that Delta Flight 2028 was travelling from Florida to New York City when it was forced to make an emergency landing in South Carolina due to smoke. Whether the timely emergency landing provided the necessary cover for the installation of explosives within Delta Flight 2028 is not known, but it’s highly likely. Said explosives could be detonated when the plane executes a 9/11-style attack on the Indian Point Nuclear Power Plant. Since Delta Flight 2028 has already been cleared by the FAA to fly into New York state, it can travel unabated from South Carolina to Indian Point Nuclear Power Plant (which is located 38 miles north of New York City) in order to execute a kamikaze-like attack on the nuclear reactor. While a nuclear reactor terror attack could theoretically transpire in any U.S. state, it may take place in Ohio which has 5 nuclear reactors (i.e., Perry Nuclear Generating Station in North Perry, Ohio; Piqua Nuclear Generating Station in Springcreek Township, Ohio; Ohio State University in Columbus, Ohio; National Aeronautics and Space Administration in Sandusky, Ohio; and Davis-Besse Nuclear Power Station in Carroll Township, Ohio). Considering Johnny Manziel was drafted by the Cleveland Browns, NBA star LeBron James recently decided to return to Cleveland, and Ohio State University won the first-ever NCAA College Football Playoff (CFP), hundreds of millions of people around the world are now focused on the state of Ohio, making a future nuclear reactor terror attack in Ohio all the more terrorizing. Back on December 30, 2014, it was revealed that the Vermont Yankee Nuclear Reactor is winding down operations. Although the report stated that the “nuclear plant stopped sending power to the New England electric grid”, the nuclear plant will reportedly prepare for a “30-year period during which time its radiation will cool”. 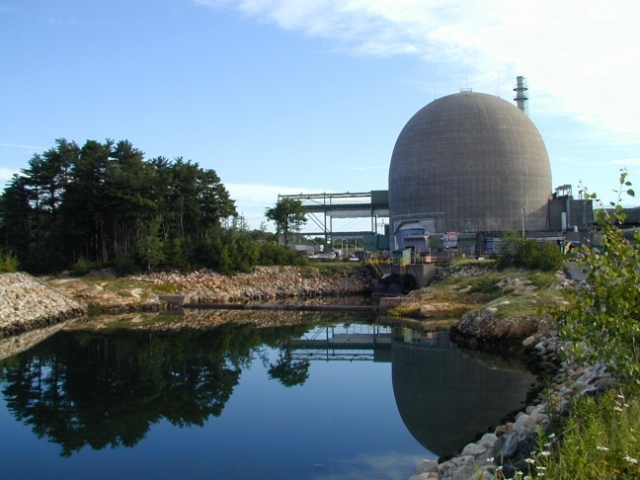 Therefore, although the reactor will technically not be producing energy, it could still be attacked, causing a radiological disaster in the Boston area. Due to its respective title of “Vermont Yankee Nuclear Reactor”, the unprecedented attack would likely be dubbed the “Yankee Nuclear Attack” or “Yankee Nuclear Terror Attack”, associating the good name of America with a nuclear disaster for decades which is exactly why the plant is being targeted. Coincidentally, on December 9, 2014, it was revealed that a state-sponsored terror drill was executed at the Yankee Nuclear Reactor. The drill reportedly involved several suicide bombers who attacked the plant, resulting in a radiological release. According to reports, the U.S. Department of Homeland Security, the Red Cross and 140 volunteers learned how to cope with thousands of people fleeing the area in the wake of a nuclear emergency. Whether the timely nuclear reactor drill provided the necessary cover for the installation of demolition explosives within the Vermont Yankee Nuclear Reactor is not known, but it’s highly likely. Said explosives could be detonated at a future date in order to give the appearance of a coordinated terrorist attack, cyber or real-world. SWITZERLAND, Zurich — Based on breaking news and events, it appears that the Obama administration (at the behest of the CIA in Switzerland) is preparing to execute a cyber, domestic or ISIS-related terror attack on one or more U.S. nuclear reactors, possibly using hijacked commercial airplanes. The notion that terrorists want to attack nuclear reactors was recently witnessed on July 9, 2014, when Hamas attempted to attack the Israeli nuclear reactor in Dimona. Two days later on July 11, 2014, a report entitled “Response to ‘Attack’ on Nuclear Reactor Is Praised” was published in response to U.S. government terror drills on nuclear reactors. According to the timely report, “Other mock attacks have been conducted at a handful of the nation’s 62 nuclear power plants”. Evidently, the U.S. federal government is perfecting their respective nuclear terror attack scenarios. Exactly when and where the attacks will take place is not known, but practice makes perfect. Back on August 20, 2014, it was revealed that hackers attacked Nuclear Regulatory Commission 3 times in 3 years, a report designed to show that cyber-terrorists are actively targeting nuclear reactors. Four days later on August 24, 2014, an Israeli spy drone was shot downed near Iran’s Natanz nuclear plant, foreshadowing the notion of aerial attack on nuclear reactors. Back on December 18, 2014, the U.S. House cybersecurity chairman warned that the America’s electric grid may be the next target of the Sony Hackers, confirming, albeit in a de facto manner, that hackers may be scapegoated in a cyber-related attack on nuclear reactors which are obviously connected to the power grid. Lastly, on December 19, 2014, Fox News published a report entitled “GAO Report Finds US Unprepared for Catastrophic Nuclear Disaster” which found that the “federal government is not fully prepared to handle a nuclear terrorist attack or other sort of large-scale catastrophe”. Therefore, in the wake of a nuclear reactor attack, the alleged “fallout” will predictably spread nationwide, rendering the United States radioactive. While a nuclear reactor terror attack could theoretically transpire in any U.S. state, it may take place in Ohio which has 5 nuclear reactors (i.e., Perry Nuclear Generating Station in North Perry, Ohio; Piqua Nuclear Generating Station in Springcreek Township, Ohio; Ohio State University in Columbus, Ohio; National Aeronautics and Space Administration in Sandusky, Ohio; and Davis-Besse Nuclear Power Station in Carroll Township, Ohio). Considering Johnny Manziel was drafted by the Cleveland Browns, NBA star LeBron James recently decided to return to Cleveland, and Ohio State University is in the first-ever NCAA College Football Playoff (CFP), hundreds of millions of people around the world are now focused on the state of Ohio, making a future nuclear reactor terror attack in Ohio all the more terrorizing. Prior to a high-profile nuclear reactor terror attack, the public must be led to believe though fabricated headlines and staged events that yes, it can happen. As evidenced, nuclear reactor terror is at an unprecedented level which suggests that a state-sponsored nuclear reactor attack is imminent. Based on the plethora of recent state-sponsored terror drills involving U.S. nuclear reactors (see below), it appears that U.S. nuclear reactors will be targeted, most likely by cyber and/or Islamic terrorists. Exactly what form these attacks will take is not known, but a 9/11-style kamikaze attack is the most likely. Interestingly, on March 26, 2014, LiveScience found that even a small nuclear war could trigger “catastrophic cooling”. In other words, should a number of U.S. nuclear reactors be attacked, a majority of the U.S. will be covered in a “radioactive” haze courtesy of government drones spraying 10-100x the amount of chemtrails. Consequently, the sun would be blocked out completely, the sky would be labeled as radioactive, and America’s economy and tourism would come to a screeching halt. Needless to say, this terror scenario would be far worse Three Mile Nuclear Disaster (1979), Chernobyl Disaster 1986), and the Fukushima Disaster (2011) combined.